Today I'm in the studio, with lots of folding & trimming to be done. Some books will be made this afternoon. I'm getting ready for my first day at the rose st markets on the 13th of september. I have been so busy with other work, I just haven't found the time to do any binding. 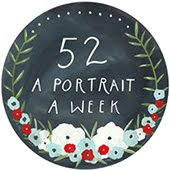 So next week I have dedicated a whole 3 days to the studio, hopefully there will be no interuptions. 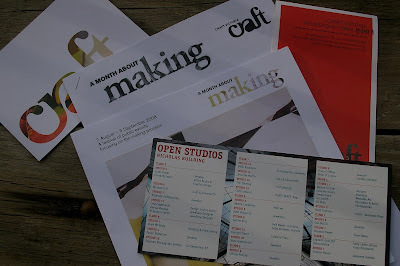 On another update, I went along to the craft victoria seminar yesterday. It was a series of lectures about turning your craft into your career & it was seriously the best $35 I have ever spent. So informative & inspiring, I really did learn a hell of alot. So last weekend was spent in the lovely dayelsford. A little secret trip planned by my man. We stayed at the Mount Stuart B&B, an amazing old house behind the main st. It was a freezing cold weekend, as it had snowed on the thursday before. On saturday we had lunch at the farmers arms, a warm and cosy pub. After checking in, we wandered the streets, checking out shops. The rest of the afternoon was spent infront of the fire reading magazines. Dinner was had at an awesome place called breakfast & bier. If you are ever in town, I truly recomend it. The menu is full of simple heart-warming food & it all is quite tasty. Sunday morning bought a big cooked breakfast. 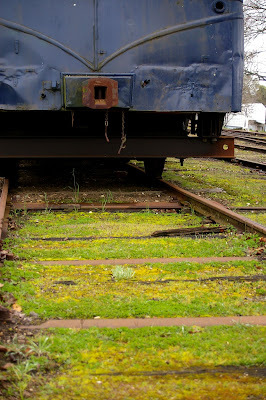 Also there was a meander throught the old railway markets to find some treasure. 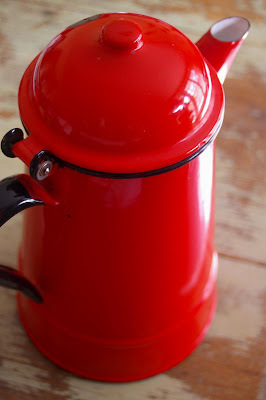 We purchased some bread & honey, an enamel jug, a felt hat & froze like peas out of the pod. 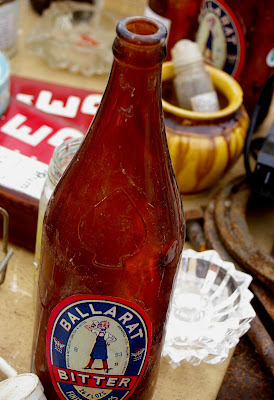 The Mill Markets were next on our list & boy did we find some goodies in there. Not all goodies were purchased of course, they were merely lusted over. However we did buy a royal doulton plate & a selection of old records including some Dave Brubeck & James Taylor. Then back home we tottled to where the degrees were a tiny bit higher, good old melbourne. 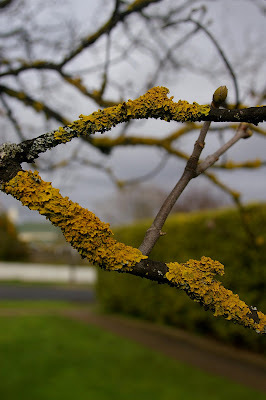 A mossy branch out front. 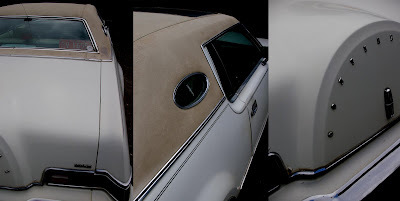 An old lincoln parked at the market. The driver was an old dude with a silver-grey pony tail. Wares for sale at the old railway market. 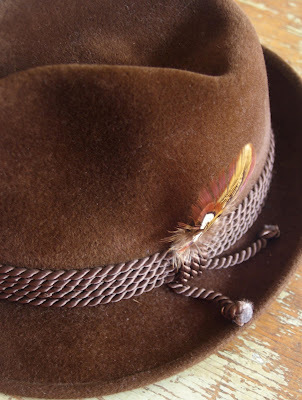 A german felt hat I puchased. Enamel jug, a market find. Royal Doulton "Carnival" sandwich plate, made in 1936. Just an update to let you know that I'm on track. Here a some brave things I accomplished this week. Once again we're at friday. How did it get here so fast? I've hardly had time this week to itch a scratch, but I've managed to squeeze in a bit of making. I finished a commission for a friend, she requested an alice in wonderland signature book for her sisters 21st. Below is the final product. 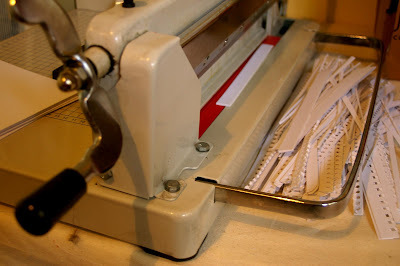 I have used a new style of coptic binding, which uses four needles/threads at the same time. Super confusing. I have also overlayed the images with trace paper for the siignatures so the images don't get lost. I really don't enjoy taking photos of my books, it's so hard to capture the details & colour. And to keep myself entertained while on the phone or watching tv, I've taken to some book sculpturing. This is one of the few I've folded so far. I'm no Nicholas Jones, but I do enjoy it. 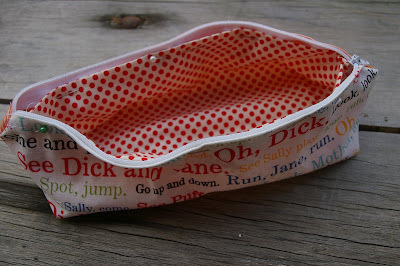 A little pencil case, I may or may not have screwed up... stay tuned folks. 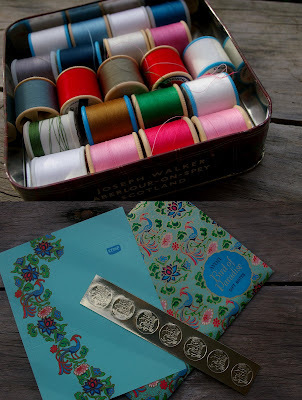 A tin of sylko threads - $4 & an old avon bird of paradise letterset - $1. So, I get around the blogs alot. I have my favourites, my everyday reads. There are a few peeps out there in blogland that are a big inspiration to me. How they face their everyday, how they raise their children, how they are successfully doing their crafty thing & how they are just trying for a wonderful balance in their life. One of these is justine from 62cherry. She posted the other day about doing one thing a day, over the period of a month... one thing a day that scares her. And boy, it rang true in my little ears. So over the next month, starting from tomorrow morning, I Kitty will do one thing each day that scares me. These things will come in a variety of forms, for I am quite a nervous one. 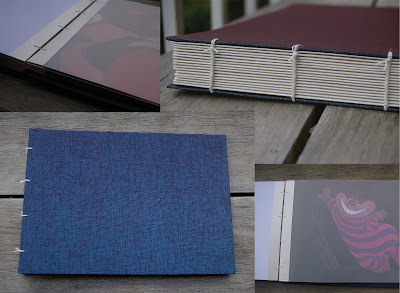 Getting my bookbinding off its feet scares me, it's always nerve-wrecking getting your art/craft out there. Having the confidence to approach people is another scary thing I'll be working on. Sometimes I struggle with just calling people on the phone, let alone face to face. Which is quite hard when you're trying to build a business & plan a wedding & just pretty much most things. Please feel free to join in. Over here is where it all began & she even has a button for the event. In other pressing matters, the lovely steph & cam have both given me an award. 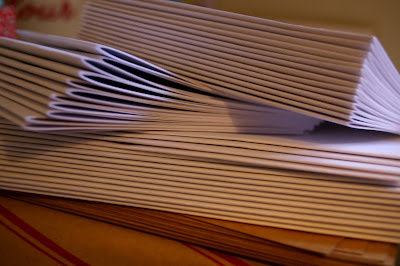 Ladies I have not forgotten, I will recieve them graciously in a few posts time. What a great theme for this weekend, because this weekend has been one of the best ever!!! 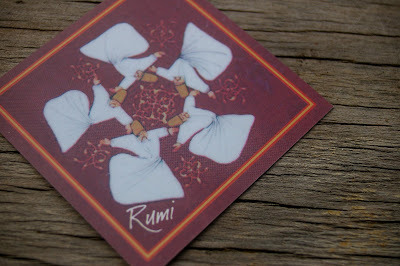 It all started on friday night... my darling man picked me up in a swish comfy car (one he's looking after for a customer) & took me to dinner at Rumi in brunswick east. We had the most delicious dinner, labne, olives & pickles to start... followed up with cheese filled pastry cigars & a dish of cauliflower with currants... & then for a bit more, we had king prawns cooked in a tamarind & tomato sauce with a rice pilaf that had barberries & pistacios through it... Yummo! 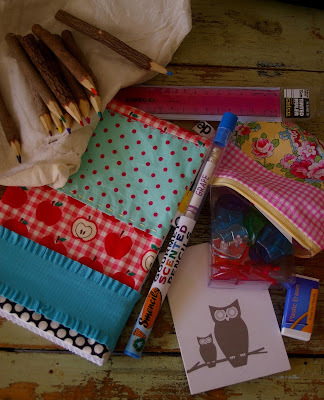 Then Saturday morning I tottled off to meet my dear friend emma for an inspiring, crafty day. 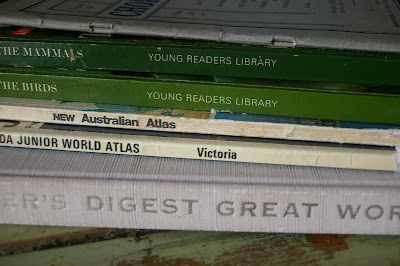 We started off at artisan books on gertrude st, where we perused the artists books on exhibit. 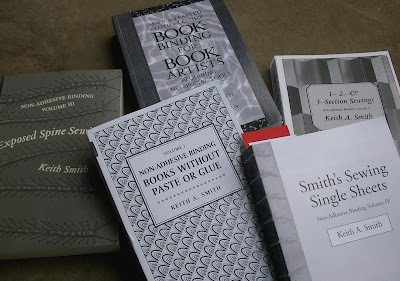 I also purchased 5 Keith Smith books to build my binding knowledge library. And... I discovered this little gem of a book pictured below. It's by a melbourne graphic designer, called Marc Martin. Such a lovely story it is & too cheap at only 15 dollars. Off we then went, with a walk through the park to the state library where we had a delighful breakfast of porridge & pancakes at Mr Tulk. After filling our tummies, our trail led us into the library to a secret stash of more artists books. We sat and leafed through them all, taking notes as we went. Commenting on techniques & styles used & what we did & did not like about each one. So on leaving the library, a little window shopping was in order. 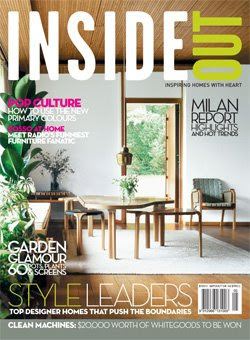 Boots at Zomp, magazines at borders, melissa shoes at obus. Sugar levels were low by this stage & we had to stop & refuel our shaking bodies. So we stopped at journal to share caprese salad & a baguette & perhaps 2 portugese tarts were eaten too. Up the street we carried on, to Craft Victoria. A look at the in the making exhibition was in order. I also joined emma in buying a ticket to an lecture day at the museum, on how to turn your craft into a business. The speakers for this day are all people doing their thing in melbourne & making a success out of it, so inspiring it shall be. Today has been good too. We had brunch with the mother in law this morning & I asked here to make my wedding dress. She was delighted of course, & we chatted away about ideas. Then I decided it would be a grand idea idea to pop into Tarlo & Graham... & I tell you now, I'm mighty glad I did. For as I walked through, my eyes scouting about, I discovered the most magnificent antique bookpress! I hurried to the counter & lay my money down. This beautiful creature just had to be mine. So he is on layby & I look forward to the day when he sits proudly on my shelf, ready to im-press. Hee hee, I just couldn't resist. So anyway... this Kitty is mighty stoked about her little business & her contented life & her most joyous love. Aaaaand, to top it all off... the dear boy has a suprise planned for next weekend. He has his lips firmly sealed, however he has let it slip that we're leaving town for a few days. I'm so excited & I do feel rather spoilt. 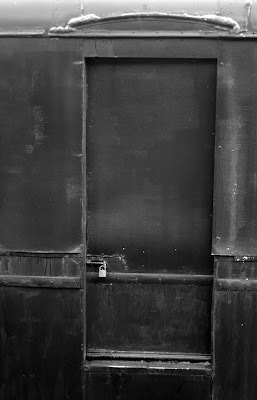 I shall let you know all about it when it is revealed. 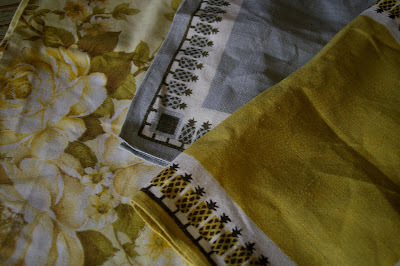 & my stash of fabrics purchased on the day. 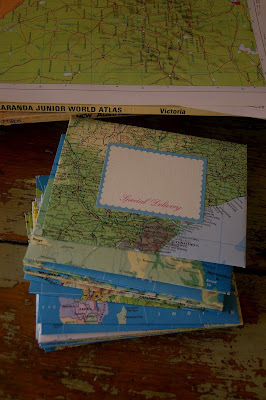 Today on my desk, is a bunch of envelopes I've folded from maps. They will be part of some stationery packs I'm putting together. Check out more desks over here. Wow. Such a busy weekend I had & then straight back to work today. Sometimes I wonder where the time goes. It's been so cold over the past few days & I've in turn been quite miserable. Please let the summer come quickly, weather gods... I'm freezing. I was caught in a rain shower this afternoon... which I was quite disgruntled with. After it decided to stop however, look at the beauty that came out to cheer the world up. 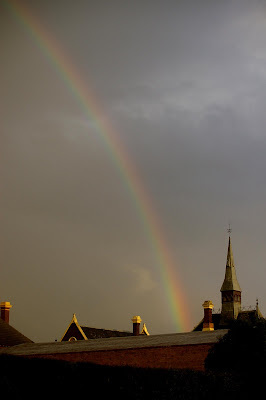 So here is the ginormous rainbow that headed itself over the richmond rooftops. 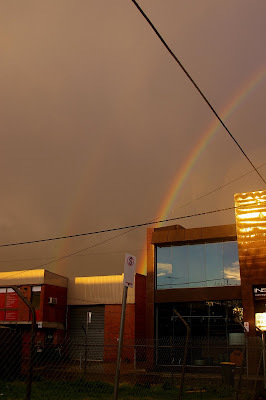 Can you see the double rainbow in the second pic? I had a great time at the mixtogether on saturday arvo. 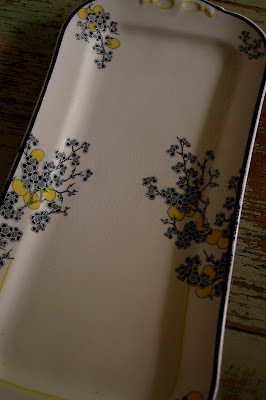 I received an awesome gift from the lovely fii, I'll wait til the sun comes out so I can photograph it. 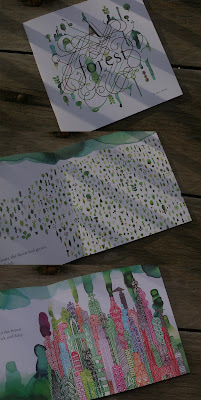 My book was well received by justine, apparantley it has been painted up by her man & little girl. Too good. We laughed alot, & discussed thoughts on craft & other random topics. And quite frankly, the time passed way too quickly. 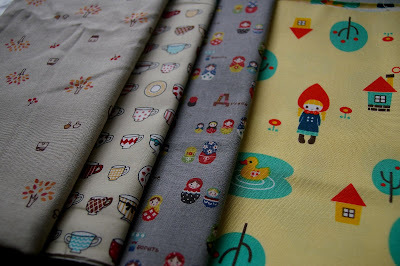 I also took advantage of the sale at amitie & purchased myself a little stash of 6 fabrics, 2.5 metres in total. 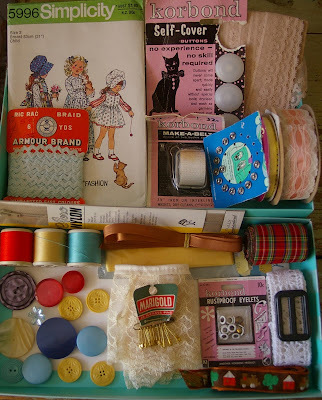 And because I was just too lucky, I scored a door prize, a box full of vintage sewing notions. I'll have to photograph that and the fabrics & post them too. They are superb. 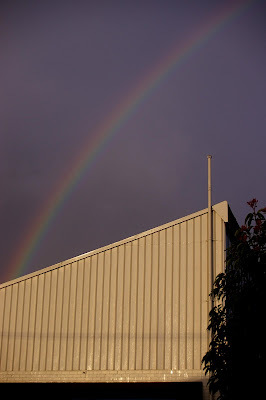 So I leave you with the best part of my day today, ronnie rainbow. I've got 2 full 11 hour days of work ahead of me, then on thursday I shall be back crafting & won't have to think about work til next monday. Too good. I'm off to the mixtape mixtogether this afternoon. The swap is a creative journal, here is the journal I made. 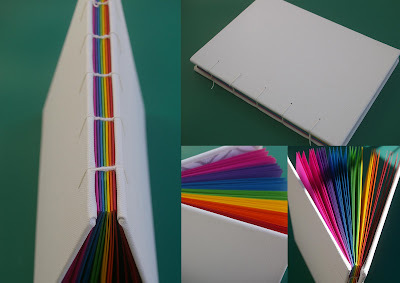 My rainbow journal has been covered in canvas, so the receiver can paint their own covers. 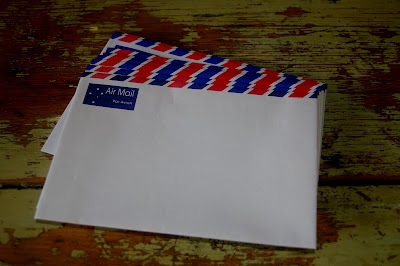 I'm going to package up some acrylics in the parcel too. I can't wait to see what everyone else has come up with. 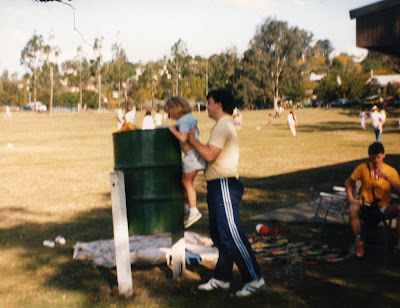 This is me aged four being thrown in the bin by a family friend. That happens to everyone, right? Ooh, how lovely it is to do a spot of op shopping on a sunny winters morn. 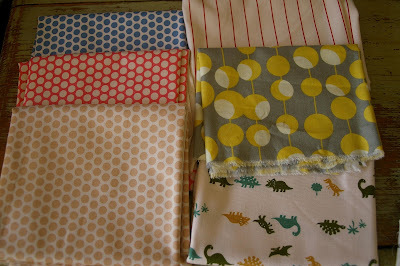 I'll make some cushion covers from the napkins methinks, some wee baby ones. I have lots of work to do in the next month, I'm getting into serious binding motion. 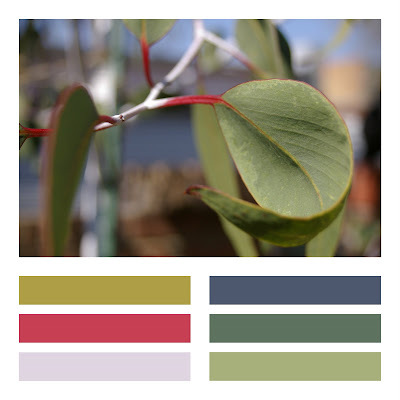 Look out for me at the Rose st Artists Markets this spring! & maybe one of these days I'll update my store. I hope all you Melbournites are enjoying todays wonderful sunshine. Yay! 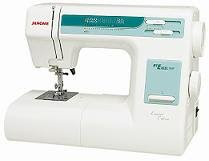 I have purchased a sewing machine that can do more than just one thing, a Janome My Excel 18W LE. It's not that I don't love Walter anymore... it's just that I need more. So after my sewing lesson at Threadden (which was really good by the way) on saturday to polish up my skills. I decided that this machine was super great & also in my price range. It gets delivered today, I can't wait. I'll be able to do button holes, reverse, fancy stitches, neat zippers... I'm just too excited. This has been on my desk for the last week, while I've been organising the rest of the package. A little birthday gift for my sister, she shall receive it today. 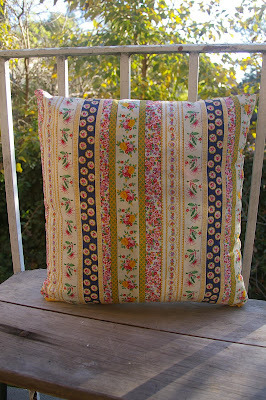 I made two of these cushion covers, I found the fabric at spotlight, I think I want one now. 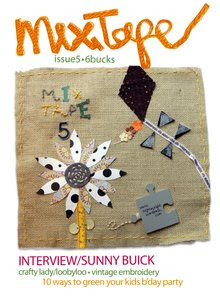 It really is a great issue! Have you read it yet? If not get your copy here. This one has also popped itself into my letter box. I'll get into reading it after I've cooked dinner. I just purchased this little guy on ebay, he makes me smile. Now my bikkies will taste so much better.